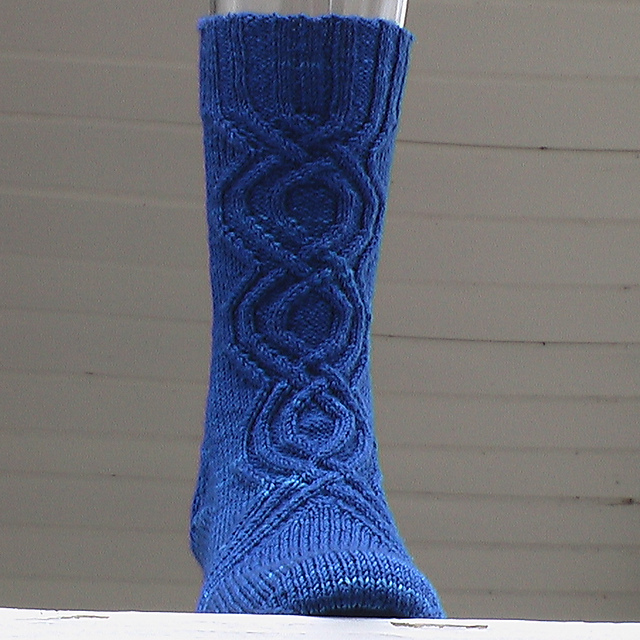 Here are a few of the fantastic new patterns designed for A Hundred Ravens’ yarns. This lightweight & easy to wear design is bound to become one of your favorite accessories. Dress it up or down. 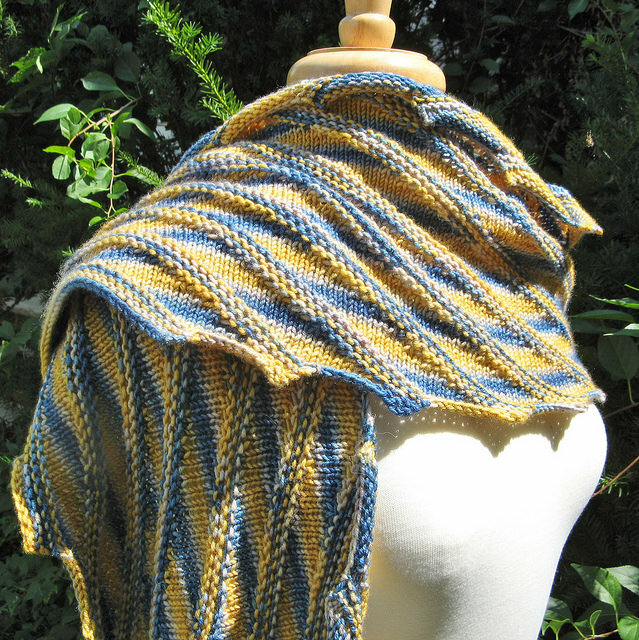 Wear it as a shawl or scarf. Cast on from the middle and worked outward so you can slip stitches to create an i-cord edging and “u-turn” shaped to stay on your shoulders. 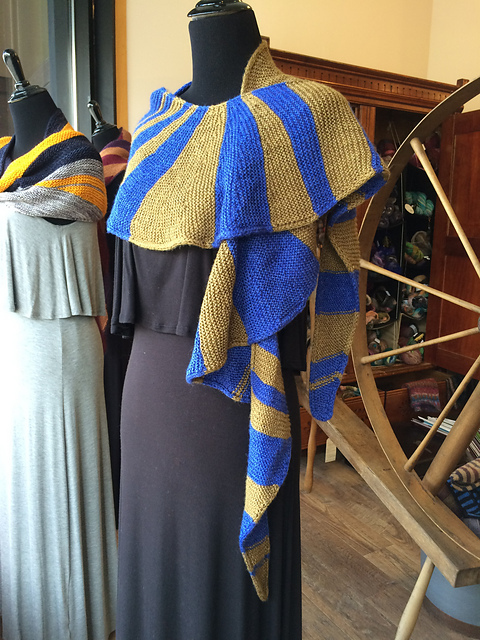 You’ll find a use for this lightweight shawl at any time of the year! 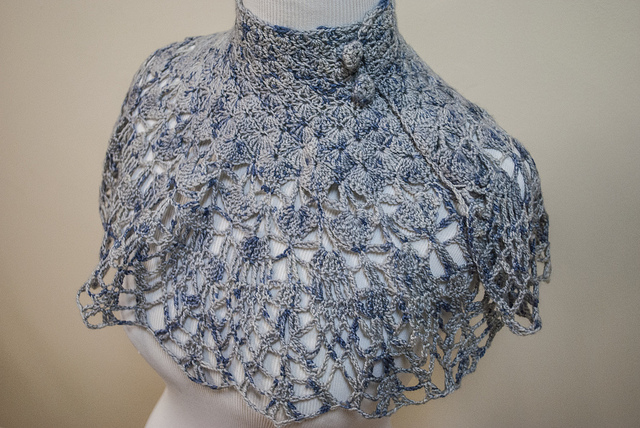 This Victorian-inspired shawl is actually a bit of a lesson in crochet mechanics. 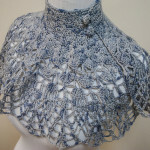 Learn how different stitch patterns relate to one another as you watch your shawl grow from small shells to large shells to shell lace, and finally to pineapples. 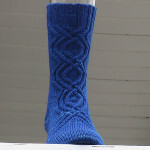 Designed to in AHR’s favorite TARDIS blue yarn with cables weaving a wibbly-wobbly, timey wimey pattern across the front. 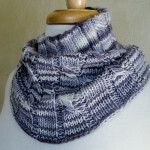 As with all of hniclk’s patterns, these are beautifully crafted and fun to knit. Oscar Zoroaster was an ordinary ventriloquist and balloonist in Barnum & Bailey’s Great Consolidated Shows, until his balloon ropes twisted and he floated away to the land of Oz. 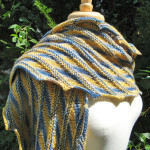 The stitch pattern on The Wizard shows off high-contrast variegated colorways with a combination of no-wrap short rows and knitting on the bias. Colors pool between garter-stitch stripes, calling to mind the panels and gores of a hot air balloon. The stole is stretchy and drapes delightfully, curling in slightly at the edges. 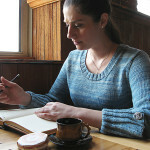 Crosswind is a waist-length sweater that features dramatic flared cuffs, a scoop neck, and a deep ribbed body. The cuffs fold back over ¾-length sleeves and are sewn in place: use your favorite buttons for a decorative accent. Crosswind borrows its silhouette from the sweaters of the 50’s, with steampunk details to delight and inspire. 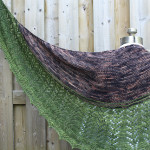 This shawl grows from a center crescent of squishy soft garter stitch. Spoke like branches fan out from the center and end in sturdy cones between delicate fans of new needles. 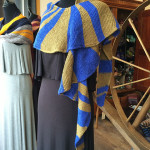 Worked in worsted weight yarn, this long shallow wrap that can be crossed over the chest and tied behind the waist to form a sort of vest for practical wearing. Alternately, wear it slung about the shoulders as a dramatic stole for a special occasion. 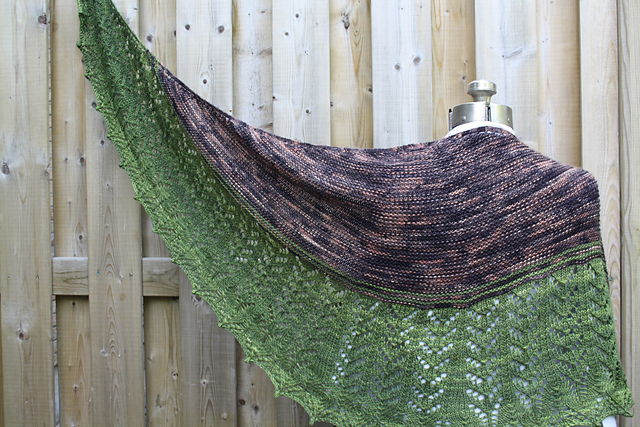 This quick one-skein project is perfect for that orphan skein of worsted hanging out in your stash. 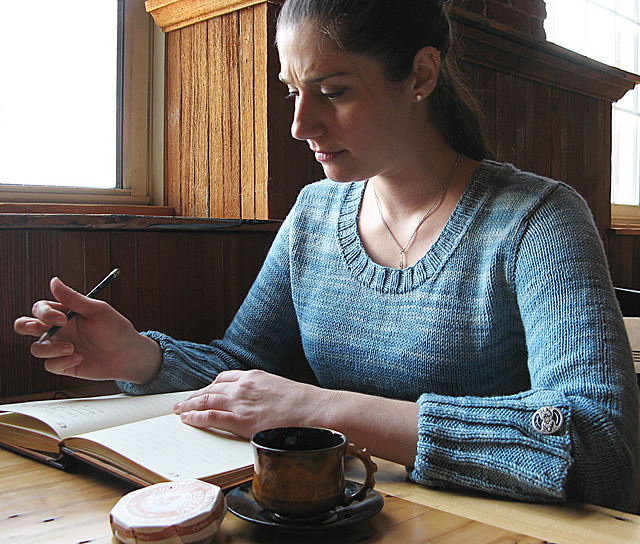 Whether it was an impulse purchase or a leftover from a larger project, that beautiful, soft skein has a destiny! 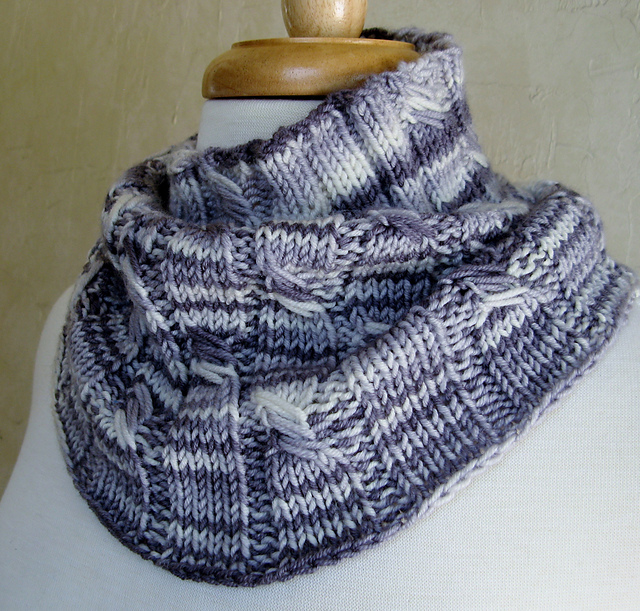 Whitecaps is a close-fitting cowl that tapers slightly from neck to shoulder. Worked in the round, this deceptively simple pattern combines elongated stiches with a basic cable to break up color repeats and striping.